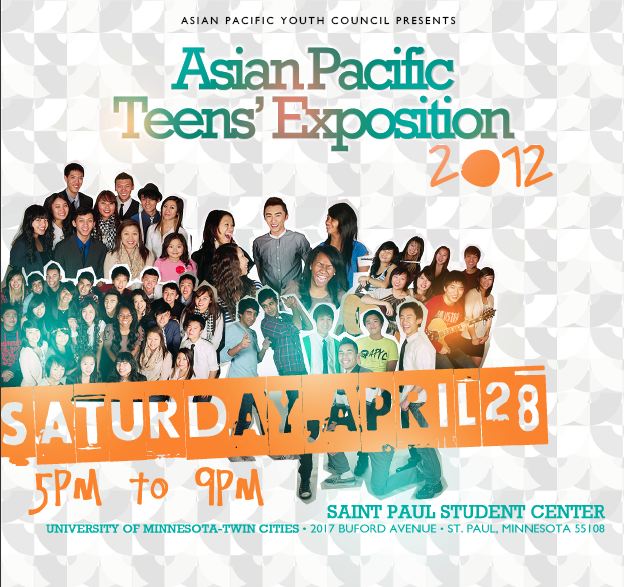 The Asian Pacific Youth Council presents to you the Asian Pacific Teens’ Exposition 2012. Come and watch the many talents of APYC! At the public forum, youth presented on their ideas of solutions and many read their letters they wrote to elected officials to the audience. Throughout the event, the youth felt positive that change can happen and that their voices were being heard. The attendees’ participation spoke to the importance of being active in the community. The youth became the change agents on Saturday, and it was their contributions that will help make Minnesota a better place to live. Letters written to elected officials were delivered with an APYC conference summary of the day. To view photos please visit us on flicker. Although Senator Al Franken was unable to attend the conference, he sent a video highlighting the importance of the Asian Pacific voice in Minnesota’s community. For more information on the Council on Asian Pacific Minnesotans or on the Asian Pacific Youth Council please contact the Council on Asian Pacific Minnesotans at capm@state.mn.us.